Men Hide Your Women! 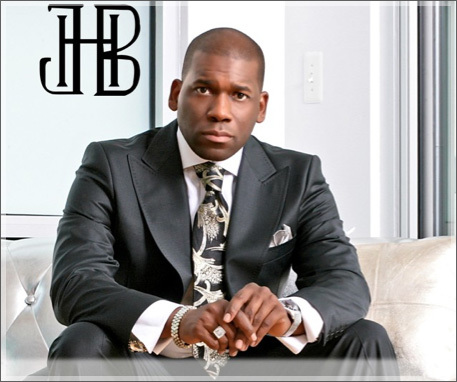 Pastor Jamal Bryant is Headed to NBMBC in Atlanta!!! Embattled prosperity preacher Jamal Bryant is heading to Atlanta. Bryant has accepted an offer to become senior pastor at New Birth Missionary Baptist Church, outside of Atlanta. Bryant, the controversial pastor at the Empowerment Temple AME Church in Baltimore, MD., will take over as spiritual leader at New Birth in Lithonia, Georgia. The megachurch, which boasts 10,000 members, was founded by Bishop Eddie Long who died from an aggressive form of cancer in 2017. A former NAACP youth director, Bryant, 47, was a civil rights leader in Baltimore. He led protests after the shooting death of Trayvon Martin in Florida. But Bryant’s personal life has been the source of rampant gossip and blog fodder for years. Bryant was shamed publicly in 2016 after he allegedly fathered a baby with a member of his flock. LaToya Odom claims Bryant is the father of her son. Odom says she was pressured to abort the beautiful baby boy, whom Bryant refused to see. At the time, Bryant was still married to reality TV star Gizelle Bryant, one of the stars of Real Housewives of Potomac. The Bryants share 3 daughters. Bryant was also accused of fathering a child with a 17-year-old woman while married to Gizelle. In her divorce filing, Gizelle accused the randy pastor of adultery, cruelty, and “excessive vicious conduct” that caused “unreasonable apprehension of bodily suffering so as to render cohabitation unsafe,” according to an article in The Sun newspaper. Bryant was also widely criticized for his flashy materialistic lifestyle, which included a Bentley and a multi-million-dollar Canton waterfront property. Bryant later admitted his infidelity and begged his congregation for forgiveness. He told congregants during his three sermons on Sunday that he is leaving for a new position in Atlanta. He will preach his final sermon at the Empowerment Temple on Dec. 2. And he oughta know! Which is why he incorporated the popular hip hop catchphrase into his fiery sermon at the Empowerment Temple in Baltimore, MD, on Sunday. Bryant recited the title of a popular Chris Brown song when he told his flock “These hoes ain’t loyal!” Surprisingly his congregation cheered and stomped their feet as if in agreement with the pastor’s description of young women who may have lost their way in life. But what about him? The one in leadership position who have taken advantage of his groupies by cheating on his wife and having children outside of his marriage. God is going to hold these leaders responsible and accountable for NOT practicing what they preach! Pastor Jamal Bryant (pictured above) wrote an open letter to EBONY magazine, rebuking them for accusing him of impregnating a teenage member of his congregation. Bryant, a single father of 3 beautiful daughters, admitted that he cheated on his wife in an open letter to EBONY titled “Pastor Jamal Bryant Rebukes EBONY”. “In 2007 I participated in an extramarital affair that resulted ultimately in the termination of my marriage to my incredible wife Gizelle,” he wrote. “NO minors were involved but my minor children have been affected.” Not what is known and what’s rumored; the word swirling on the religious roster in Baltimore is, Pastor Bryant indeed impregnated a woman in his congregation maybe not a minor at the time but a young parishioner in his church. For 67 years Ebony Magazine has been the drum beat for culture in the African-American community. John Johnson its beloved founder dedicated his life to safe guarding our image with great integrity. The March 2013 edition has left a hole in my heart. On page 124 they published that it’s alleged I impregnated a 17-year-old member of my church. This accusation is categorically and completely untrue. To publish this with absolutely no source lends itself to reckless endangerment to my children, my congregation and my community. Ebony is not the National Enquirer. A higher standard is required and the statement jeopardizes my ministry to the youth in my church and community. So it is on moral grounds that a retraction is necessary. In 2007 I participated in an extramarital affair that resulted ultimately in the termination of my marriage to my incredible wife Gizelle. NO minors were involved but my minor children have been affected. I don’t want them to have to live through any further unnecessary pain. Matthew 18:15 say’s if your brother has sinned against you go and tell him his fault. I solicit your continued prayers for my family, forgiveness for myself and accountability from Ebony magazine.